Our latest product release features another round of exciting enhancements for advanced workflow and project management. Our goal with this release is to give you greater precision with your automated actions. You can now trigger the creation of a tasklist from a template when something happens. When a phase of a project is completed, you can automatically kick off the next phase (tasklist) of the project. Would you like to update the status of a project when a certain phase (tasklist) is completed? Now you can automatically update your workspace properties just by completing a tasklist. Using workspace workflow, you can set a rule to change workspace properties. When you change the assignees or Ccs of a task, the “Notify Assignees” check box will automatically be checked, making sure no one misses a deadline or falls out of the loop. Do you find yourself wanting to grab that task sitting at the top of the task list? 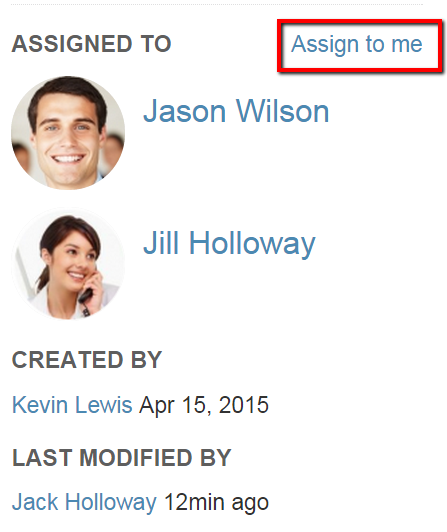 Now you can quickly assign yourself and remove others with just one click, using the new “Assign to me” link in the sidebar of the task detail screen. Combine this with the ability to have multiple users on a role, and you have a rock solid way to manage a team with assignments. For more details on our project management and advanced workflow features, please visit our Help Center or contact our award-winning support team. Check out “How Central Desktop impacts your project management” for more on how to take the pain out of PM.